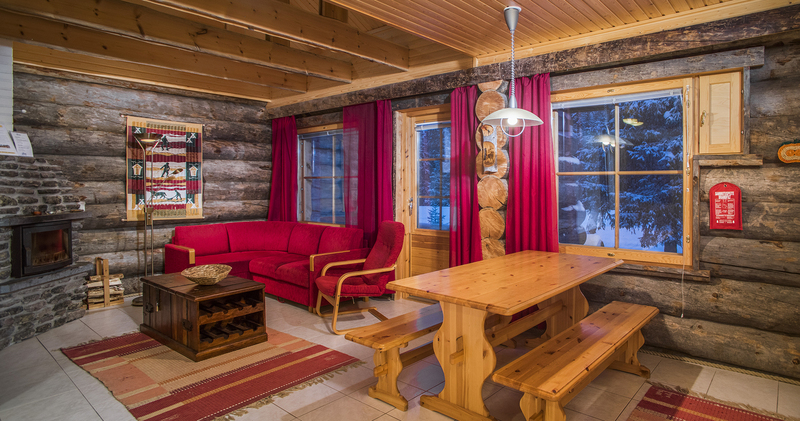 The Äkäs Catered Cabins are situated on the edge of Äkäslompolo village, on the doorstep of the Pallas-Yllästunturi National Park, Finland’s third largest national park. 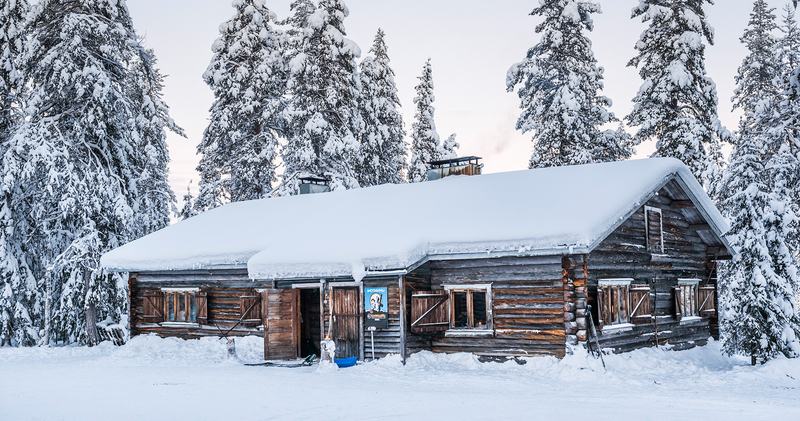 Äkäslompolo is enveloped by breath-taking scenery and is the perfect setting for Arctic adventure and a magical, festive atmosphere. Reindeer are often seen walking through the village and past hotels and shops. Meals are freshly prepared and delivered to your cabin by our catering company with dinner on the last evening taken at Haltiakammi, a highly rated local restaurant. We also provide a welcome basket with wine and refreshments. Built in a traditional Finnish style these terraced cabins are located on the edge of Äkäslompolo village. 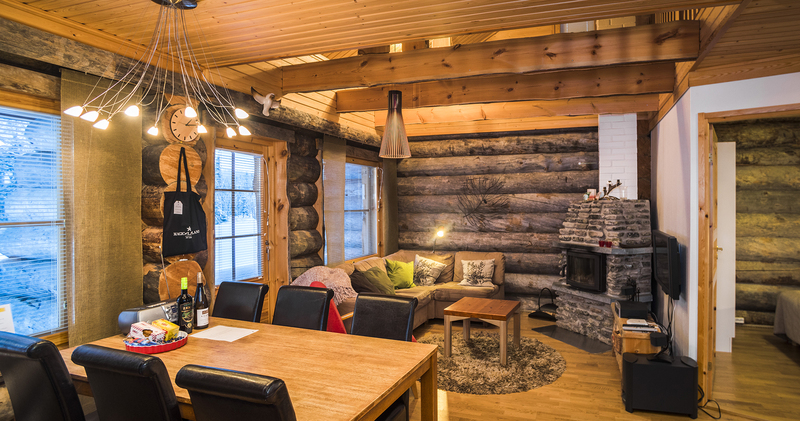 The cabin sleeps up to 7 persons. 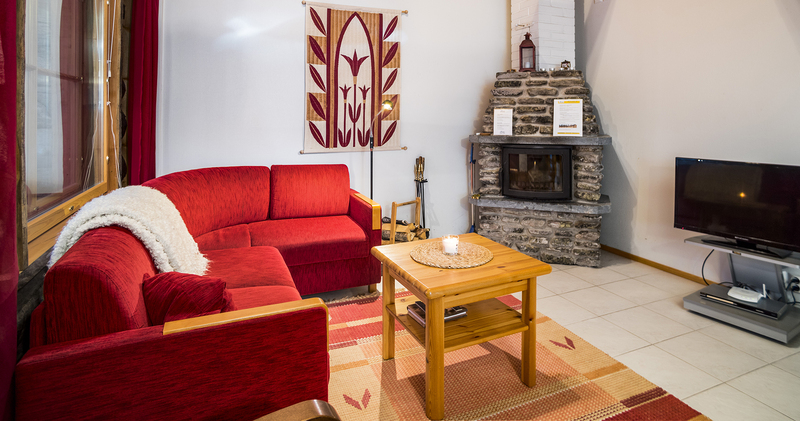 Cabin facilities: fully equipped kitchen, sauna, fireplace, 1 bathroom with wet-room, 2 toilets, TV, hairdryer, WiFi. A short distance from the cabins is Äkäslompolo lake where your will be able to drill holes in the ice and wait and see if there are any takers for the bait. With beautiful views of the lake, the fells and the village the trip is well worth taking even if you don’t catch anything. We drive by car about twenty minutes to Hyyverova, where Hannu with his reindeer is already waiting for us. After all the reindeer are harnessed, we sit in sleighs under reindeer skins and head into the snow covered pine forest for a three kilometres long reindeer sleigh ride. After a half an hour we will come back and enjoy coffee and homemade berry juice in a Lappish teepee. Having lived his whole life with the reindeer, Hannu tells us about reindeer herding and breeding and will answer all our questions about reindeer. glimpse of the ancient spirits of Lapland. Exploring the Lappish nature with huskies is an unforgettable experience. When we arrive to the Ylläs Husky Farm, we will hear the dogs already from the distance and it is obvious, they are eager to start pulling! After an introduction into dogsledding it is time to release the musher in us. Dashing through snow covered pine forests and over plains, only hearing the breathing of the dogs, their paws in the snow and our own heartbeat, will be a memory of a life time! When we arrive back to the camp we will warm ourselves up in the hut with some hot drinks and hear many stories about mushing and husky breeding. Every adult participant can steer the sleigh. enjoy a guided tour through the hotel, ice restaurant and bar. Before we head back to Äkäslompolo, we will enjoy a hot drink with bun in the Lainio inn. NB this option is not available for the 2 night break. The expected opening of the Snow Village this year is 12th December. We are at times able to secure early entry but please note that parts of the hotel may still be under construction. Availability of optionals is subject to weather conditions. 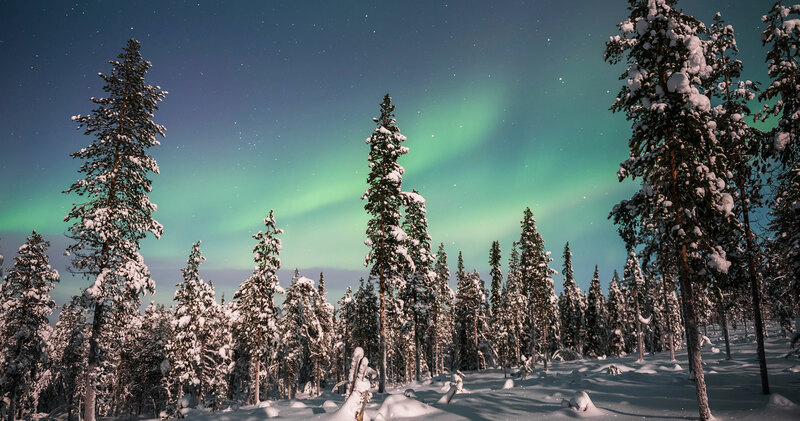 Activities can be booked once in Lapland.